Recently, I noticed a small puddle of fuel under the engine cowling that appeared to be coming from a drain line. I removed the cowling and traced the drain line to the engine driven mechanical fuel pump installed on the accessory pad of the PT-6A. 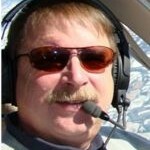 A quick call to Justin at Lancair (who is your engine expert?) confirmed my suspicions and I elected to remove the pump and send it to Quality Aircraft Accessories in Tulsa for an overhaul. Quality Aircraft Accessories said that the shaft runs in a bronze bushing—which also serves as a seal—whose surface is occasionally marred by a foreign object. 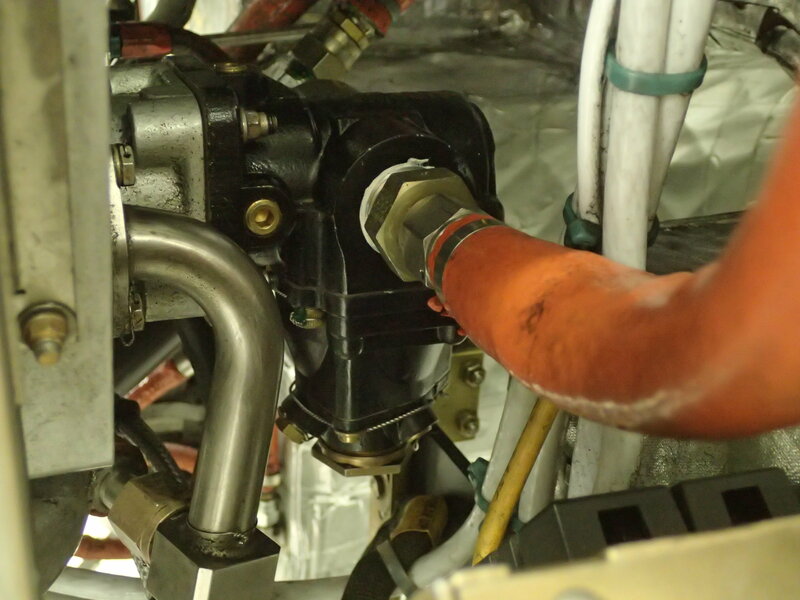 When that happens, the seal/bushing seal becomes unreliable, causing a leak. A torn diaphragm can also cause a leak. 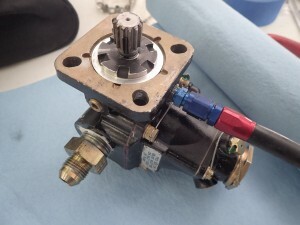 Early Evolutions had reconditioned or overhauled mechanical fuel pumps installed. Mine was a Thompson Products TF-100-2M pump. Pratt now supplies a new pump with the engine, model number 702800-5, from Eaton Corporation in Cleveland. Pump removal is straightforward. 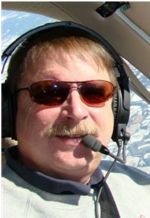 Schematics are available in the Pratt & Whitney Canada (PWC) PT6A IPC section 72-60. First, turn off the fuel selector in the cockpit. 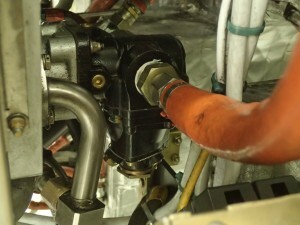 Next get some absorbent materials to catch fuel and disconnect the b-nuts on the pump inlet and outlet hoses using a 7/8” open end wrench. Cut any tie wraps holding the drain line on, and disconnect the drain line from the base at the bottom of the cowling. Next, back-off the four 3012680 nuts, four MS9320-10 flat washers as well as the MS9134-01 gasket from the studs holding the pump base to the engine accessory pad. Contortionist skills and fluency in French vocabulary (it’s a Canadian engine) are required for the one-handed work in the nose wheel well. Remove the pump carefully to clear the very close firewall and the nose gear structure. It will come off, but only at the correct angle, which will take you only an hour to figure out. Once off, drain the pump of all fuel—the feds frown on shipping flammables, so make sure it is completely drained—then ship it “hazmat” ground. 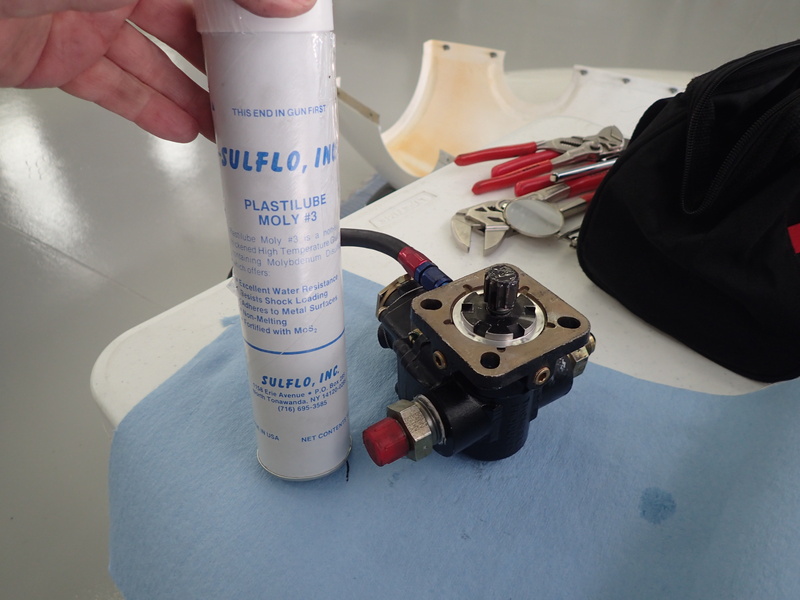 Get a new gasket for reinstallation and use Plastilube for lubricating the spline before reinstallation to prevent corrosion on the spline. The spline runs dry so it needs a little TLC juice to keep it happy. The PWC manual does not detail the removal and reinstallation of the engine drive pump because it is not a PWC part. I used a King Air manual to find out what lubricant to use on the spline. This is the downside of experimental—but not a show stopper. Reverse the steps for reinstallation.